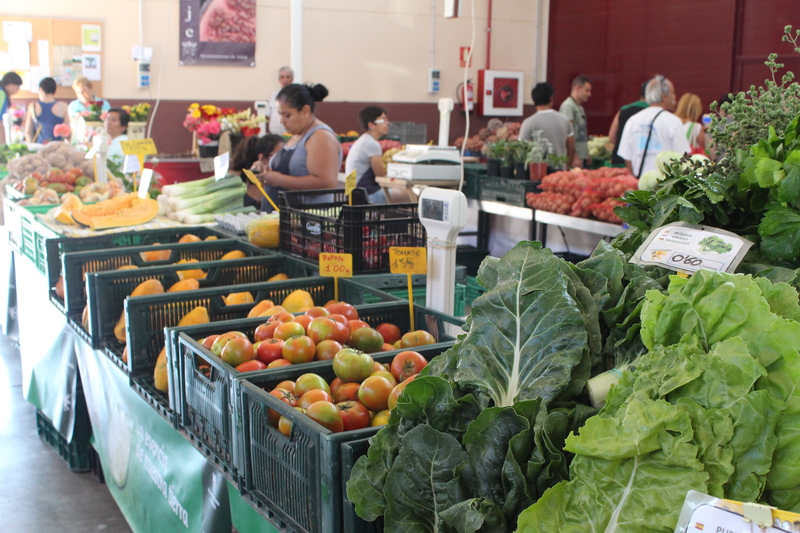 Visit the Agromercado in Costa Adeje. This is a farmers market where locals do their shopping. 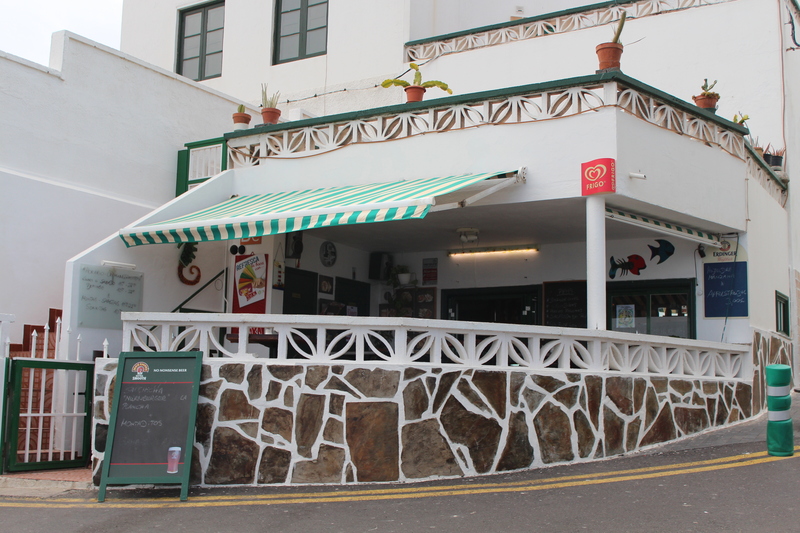 When we visited, we were the only British there and so it’s a great way to test your Spanish! We were self catering and so stocked up with a few things for the week and cooked some tasty meals with this delicious fresh produce. 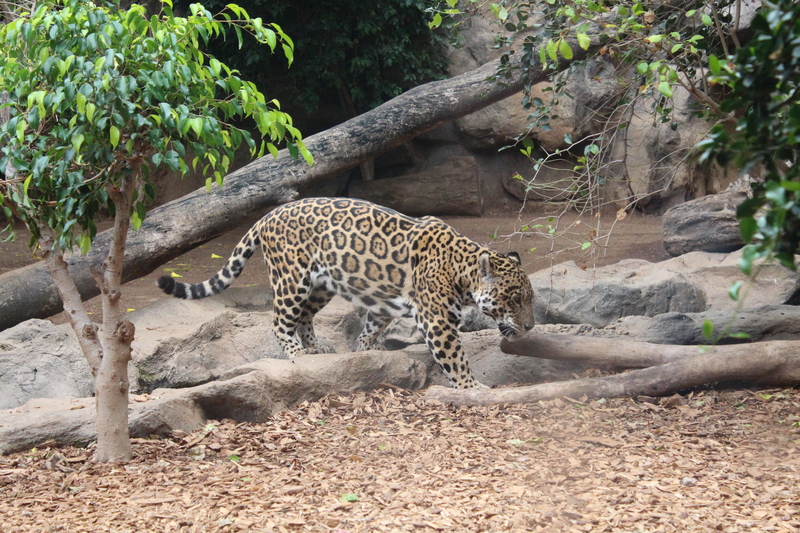 Loro Parque is a conservation park in the usually cooler part of the island, Puerto de la Cruz, and is great for all ages and particularly good for families. There is an option at the beginning to upgrade (you can go behind the scenes, have lunch included, a guided tour and reserved seating to allow for the best views) and we recommend you do. It’s such a huge park and by doing this, we felt we made the most of our time there. 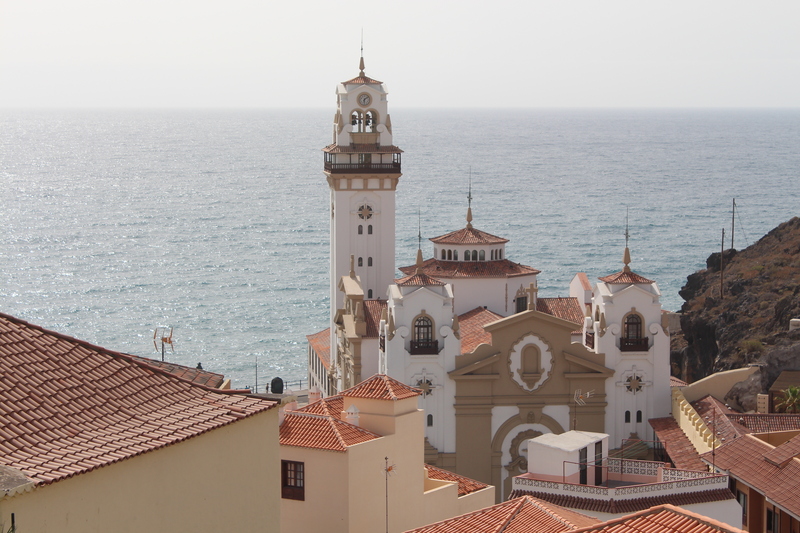 Candelaria is a lovely place to wander around. The Basilica of Candelaria is quite impressive and if you venture up the hill, you can take a lovely photo of the square. Another good thing about this place is that it has great ice-cream shops! 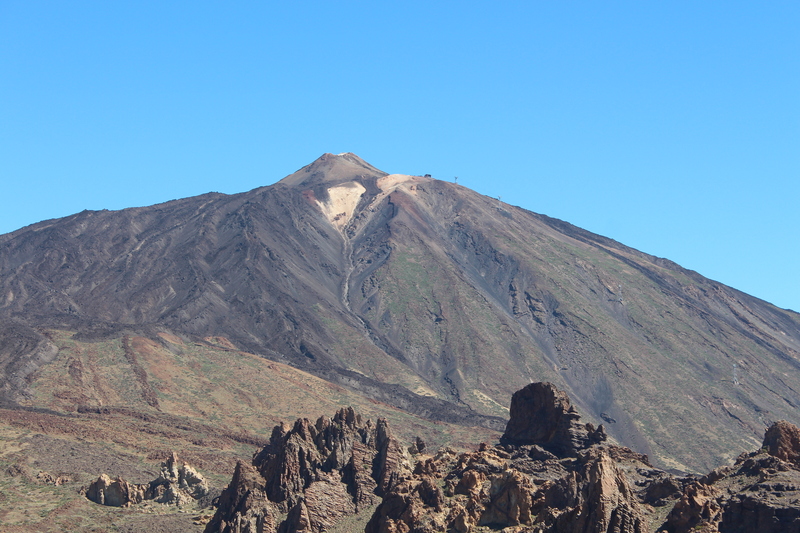 Mount Tiede is something not to miss. The journey there is quite long but there are lots of pretty villages to stop at along the way and pine forests which are heavily and beautifully scented. You can take a cable car almost to the top and so make sure you bring a cardigan or something warmer with you as you really feel the temperature drop. You can climb the final 200m but will need a permit which you can get online in advance for free. Possibly the best water park in Europe, Siam Park is great for families, couples and groups. Some of the hotels include entry within their price and so if you’re into your water parks, this may be something to consider. 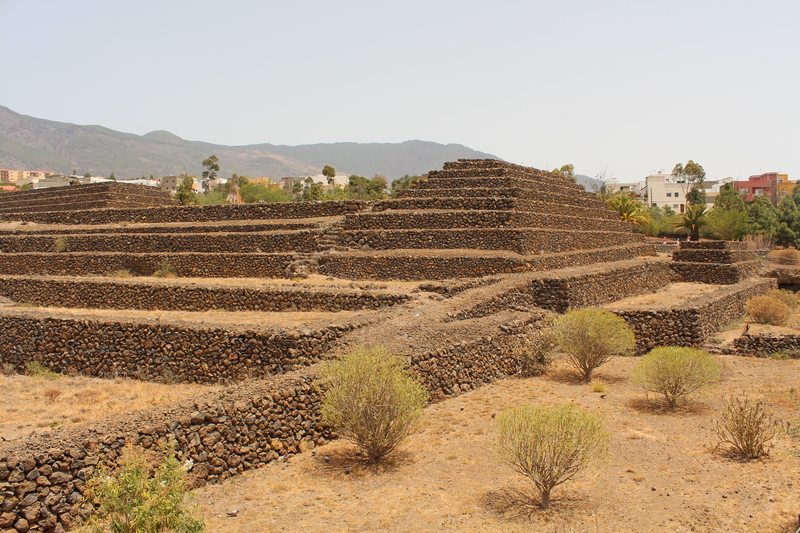 The Pyramids at Guimar is an historical site with a small garden of poisonous plants to look at! Uniquely, this is one of the very few places on the planet where you can witness a double sunset behind twin peaks. La Oratava is on the way to Loro Parque and we managed to see this town and the Parque in one day. 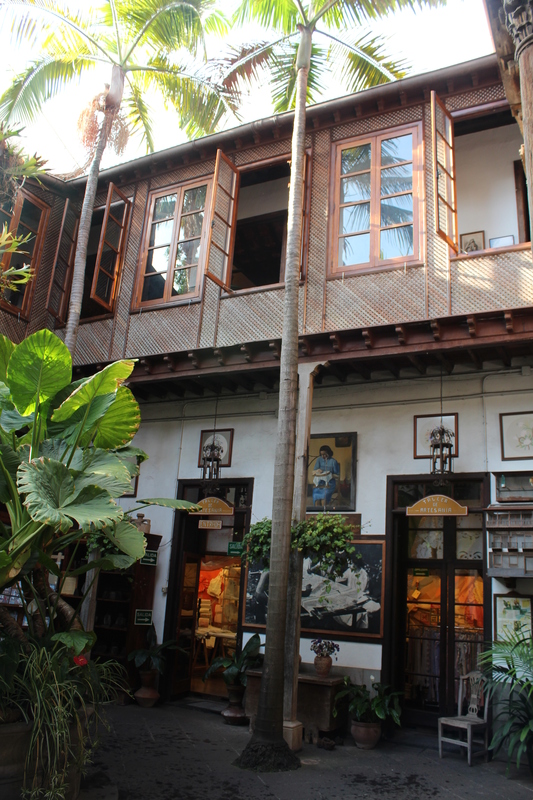 The main attraction is Casa de los Balcones but there are also some beautiful gardens and again, some very pretty streets to wander. We ventured away from the tourists to Poris de Abona and sampled fine tapas and very inexpensive wine whilst looking out to sea. We picked a place right on the seafront at the very far end, almost hidden away. It was so tiny with just a handful of tables (pictured). Tenerife is known for its dolphin watching trips and so make sure you hop on board when you’re there. There are also lots of Watersports on offer for the more active holidaymakers from jet skiing, parascending, paddle surfing, flyboarding and of course….the banana boat! Many people think of Malta and think of a week or two long holiday but we love Malta for a city break. We spent 3 nights and 2.5 days on the island discovering just some of its jewels and look forward to returning again soon. St John’s Cathedral – The most stunning cathedral we have ever visited. Every inch has been decorated with a thoughtful touch and no picture can do it justice. 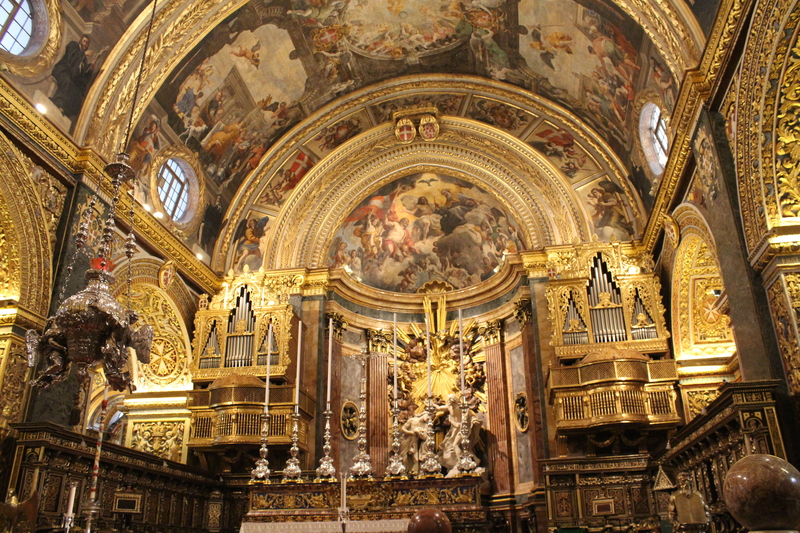 Take the free audio guide and be absorbed in the beauty of this cathedral. Wander the historic streets – They undulate, they are characterful and they host a fine mix of eateries and great opportunities for shopping. Lower Barrakka Gardens – Situated towards the far end of Valletta, you can start at the Waterfront and ascend to the Upper Barrakka Gardens via the Barrakka lift in just 25 seconds which saves those muscles for later on! 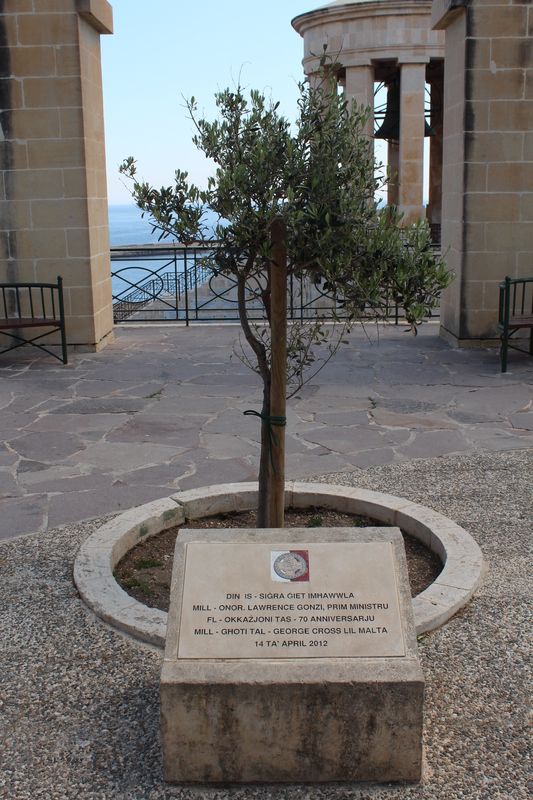 From here, it’s a lovely walk to the Lower Barrakka Gardens where you will find a tree planted in April 2012 to mark the 70th anniversary of the award of the George Cross to Malta by King George VI for its bravery in the Second World War. 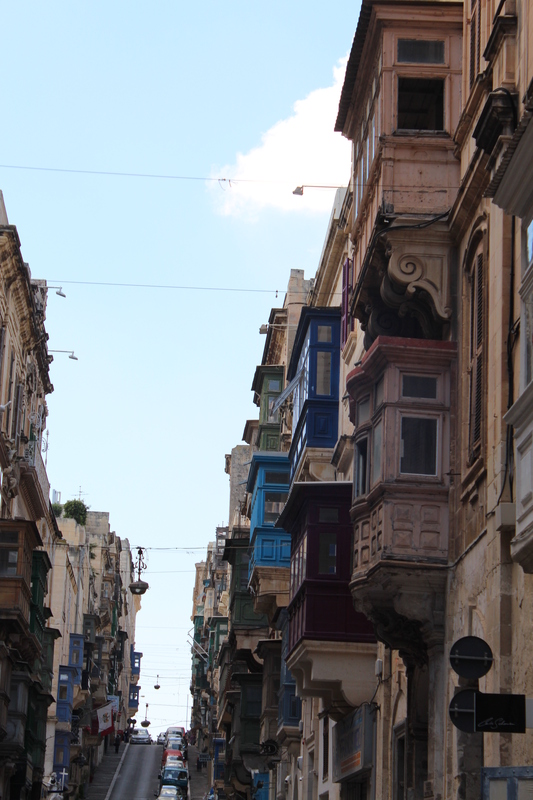 Wander the historic streets – Mdina is like a maze. 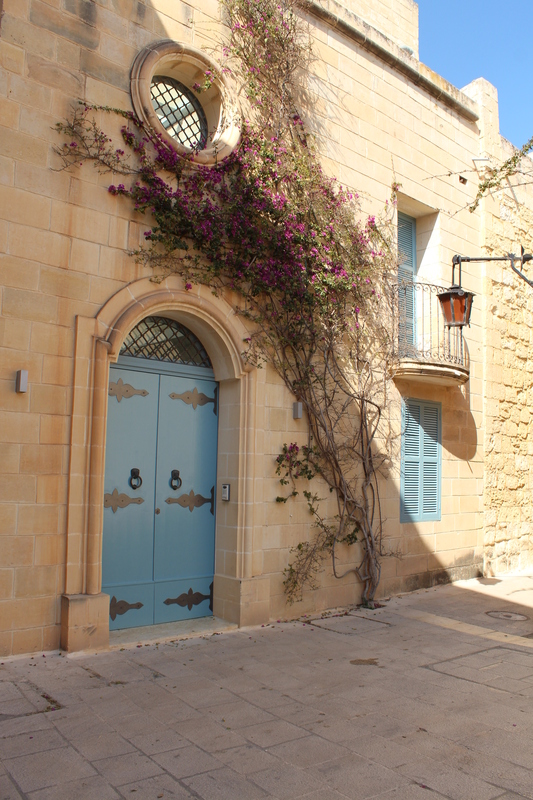 Around every corner there is a beautiful building, a stunning old wooden door, pretty flowers climbing the walls or a quirky shop selling Maltese produce. It’s a fun maze to get lost in and explore, eventually winding your way to the viewing point out towards the sea. St Paul’s Cathedral – Make your way through the narrow streets and you will find that they open up into a large square where the sheer size of the cathedral will leave you with a wow moment, its size having a greater impact due to the small avenues you have just been travelling through. You may notice the clocks on the outside give you different times. It was thought that this would confuse the devil who may attempt to attend mass and sway people from the right path if he could be sure of the right time for mass! 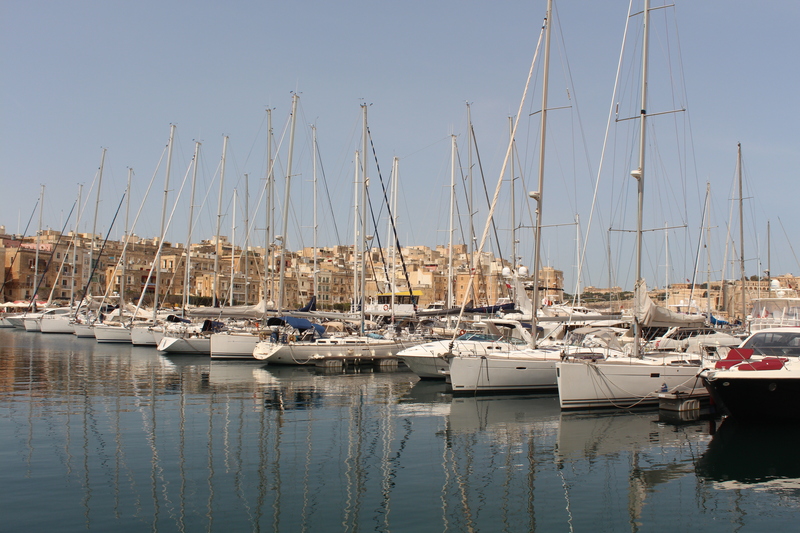 Beautiful boats – Take a stroll to see the Grand Harbour Marina, Vittoriosa. You will see an array of boats you could only dream of owning or even sailing on. 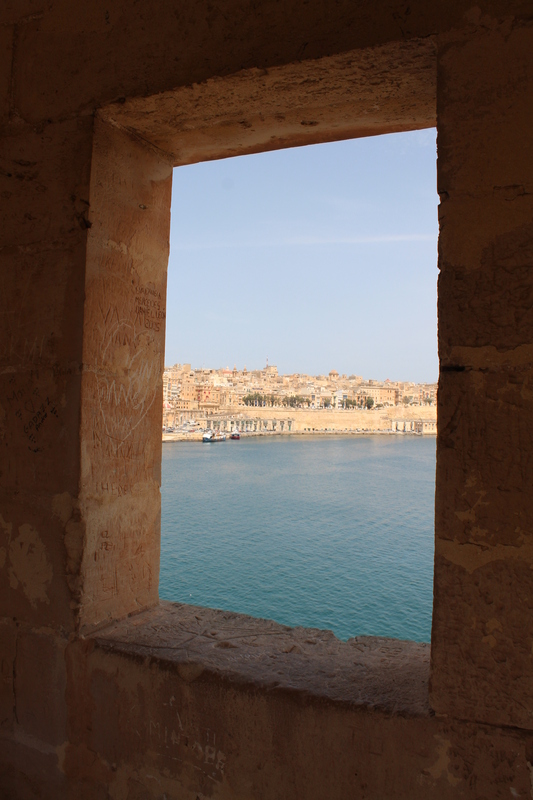 Gardjola Gardens – A reasonable walk from Vittoriosa over a bridge and right at the end of Senglea but worth the walk for the views across to Valletta. St Lawrence’s Church – a stunning church right next to the hop on/off bus and so no excuses not to take a quick peek! This is a pretty place to wander and there is a market every day where you can stock up on local honey, figs, biscuits and nougat (as well as some very touristy souvenirs). Even better, if you visit on a Sunday morning you will be treated to its main market. You will see hundreds of beautifully and brightly decorated boats here, fisherman mending their nets and repainting their boats. It’s a lovely brief stop or take a little longer and have lunch here. 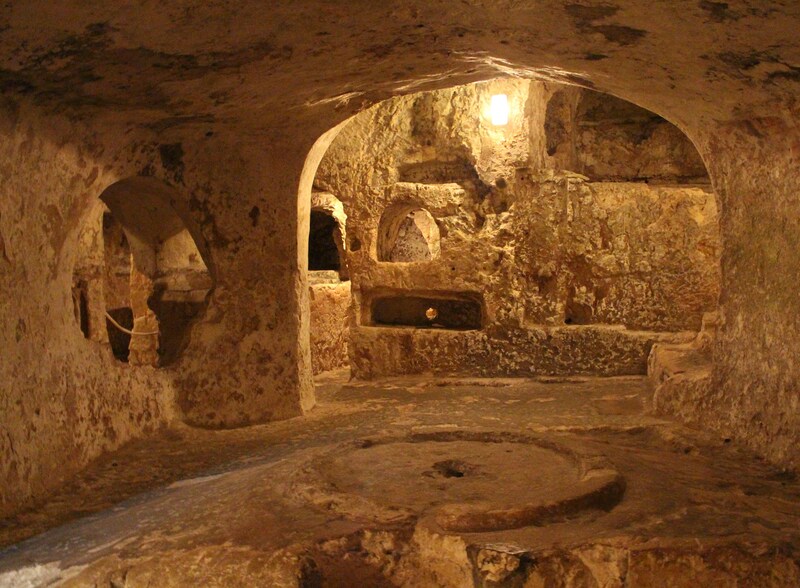 On our last day we visited the Catacombs in Rabat and took a local bus. It took about an hour and 15 minutes to get to Rabat from St Julians Bay. On our return the speedier bus which was timetabled did not show and so we had to wait 40 minutes for the slow bus which then took an hour and a half to get back to St Julians due to traffic and so do plan well and allow for the unexpected. Hire a car and see more! The Maltese drive on the left making it much less daunting. 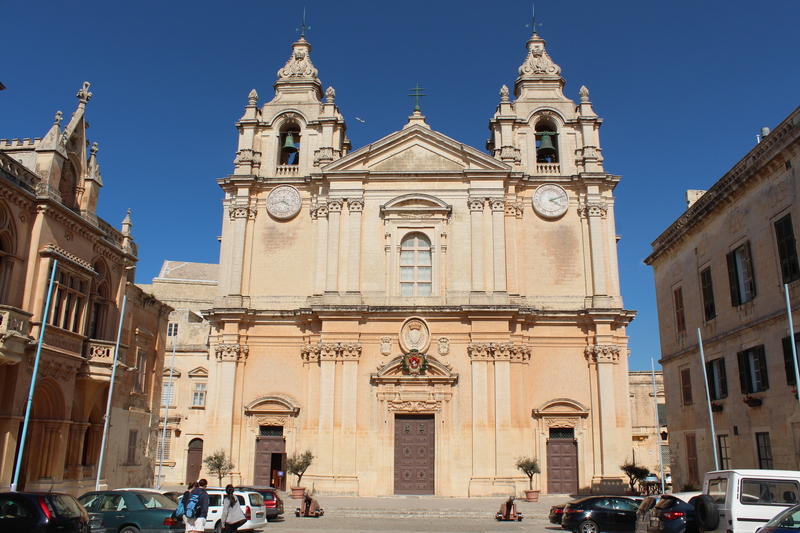 You can get around the island far more quickly by car and see what we did on our hop on/off bus plus a few more attractions which we’re saving for next time including the Blue Grotto, the Tarxien Temples and the Hagar Qim and Mnajdra Temples. You could also try a day trip to Gozo (or even a few nights in Malta followed by a couple in Gozo) and snorkelling around Comino Island. 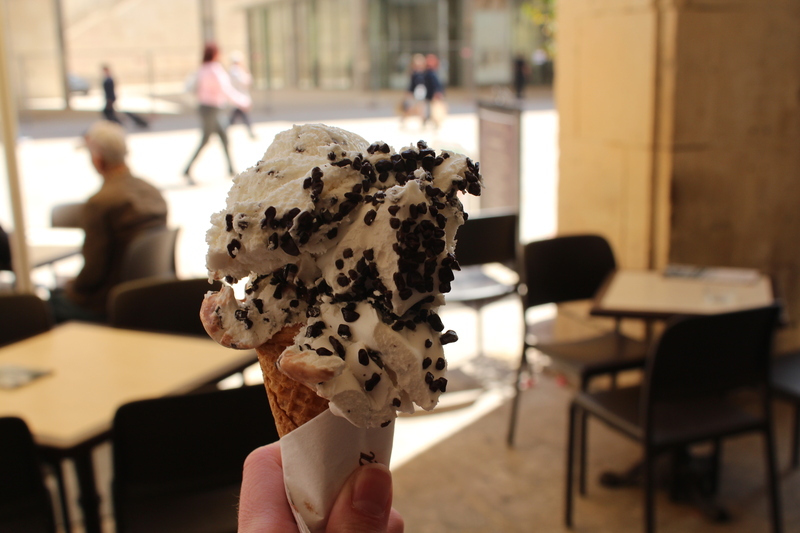 For ice-cream – L’Accademia Café in Valletta – a VERY large scoop of delicious ice-cream for just 1.65 Euros! For fish – Zeri’s Restaurant in Paceville. We had a starter of octopus, calamari and fishcakes, a main of red snapper, brown meagre and seabass all with potatoes and vegetables, a bottle of wine and water and a dessert each of Chocolate melt in the middle pudding with Bailey’s cream for 60 Euros each with a nice tip included. 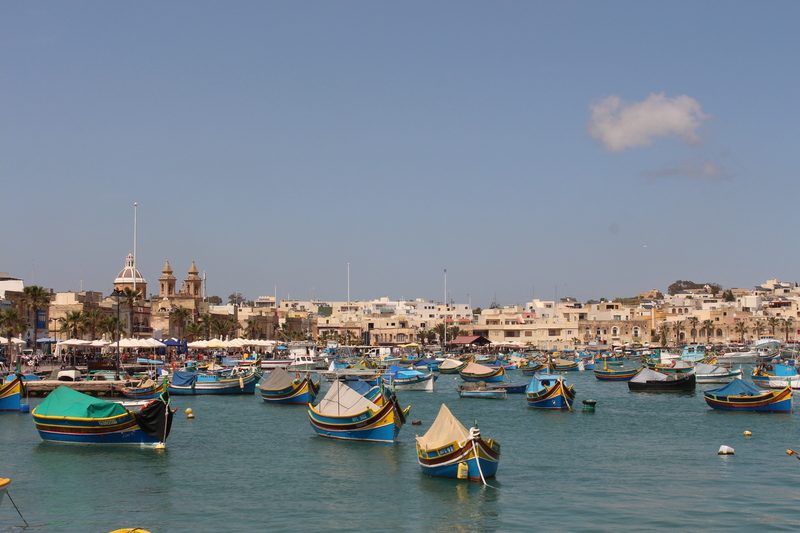 Lunch stop – The Three Sisters, Marsaxlokk. 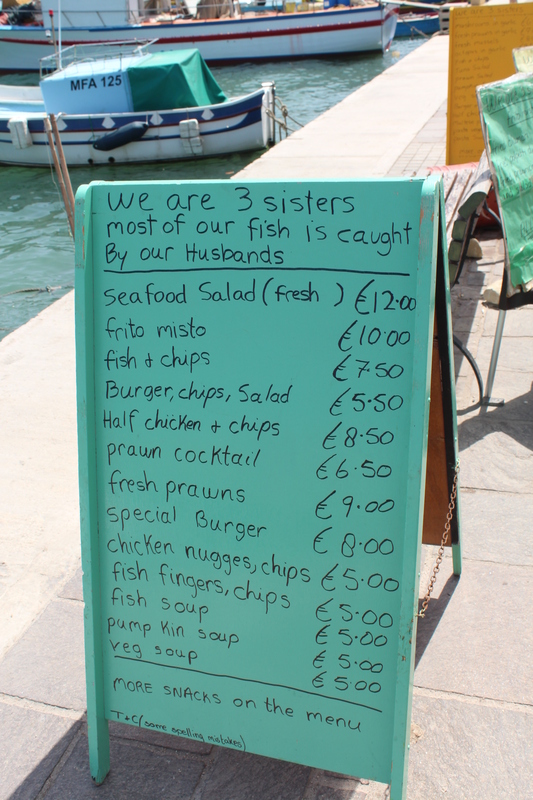 Run by……yes…..three sisters……with most fish served having been caught by their husbands……terribly romantic we know! A sense of community draws you in to eat at this perfect lunch spot overlooking the harbour which bobs away with brightly coloured boats. 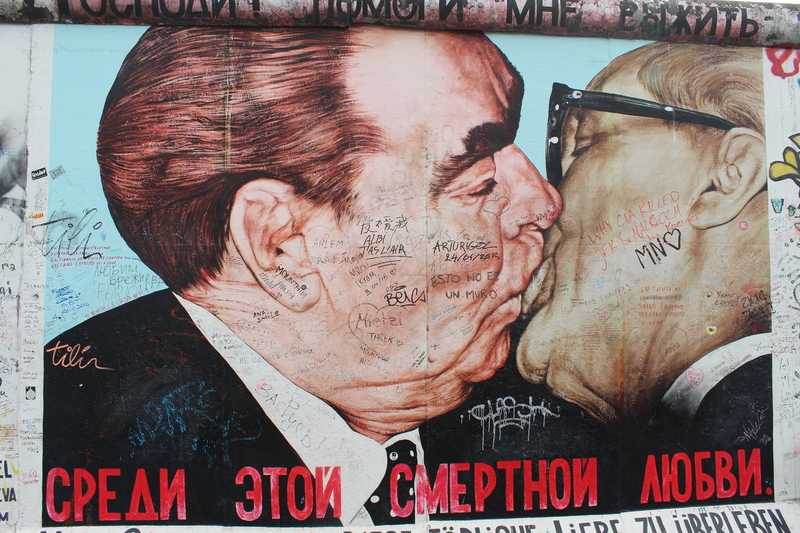 To us Berlin is about history. It’s also about other things….club culture for example…..but that’s another blog. We have focused on a short city break taking in some famous sights and hopefully a ready-to-go guide for anyone thinking of visiting. 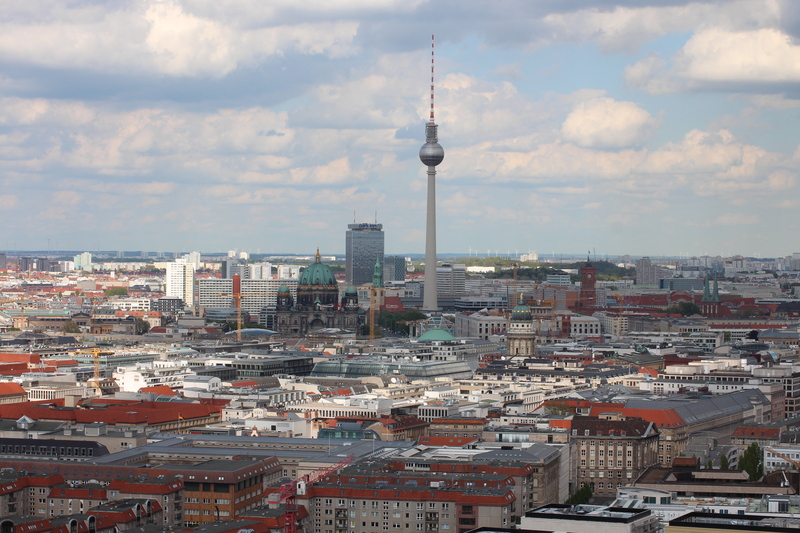 Berlin is a great city break because it’s not too far away, most sights are free and if your German isn’t up to standard, you will still be able to get around….in a very efficient fashion! Get yourself a Berlin Welcome Card which covers your transportation in either zones A & B or A, B & C for 48 or 72 hours. It makes life so much easier when hopping on and off public transport and saves you money not only on the transport but also on entry fees in shops and restaurants. When you get your ticket you will need to validate this (yellow machines on buses and near the ticket machines in U-Bahn stations). If flying into Schönefeld, get the X171 or X7 to Rudow U-Bahn (about 10 minutes in duration) and then you can get to your hotel from there – it makes it a very cheap transfer and the public transport is so reliable and frequent. When flying back, make sure you top up on water before the airport as the water there is expensive! It was about 4.5 Euros for a bottle that cost £1 in WH Smiths at Stansted! Duty free for spirits is excellent though. We managed to pack a lot in to our 2 night stay. We caught a 06:30 flight from Stansted to Berlin on Monday and arrived at our hotel at 11am. On our return just 2 days later, we left our hotel at just after 14:00 for our 17:05 flight home. We managed to see everything listed below and we have listed everything in the order we did it to show you what is possible in such a short visit. 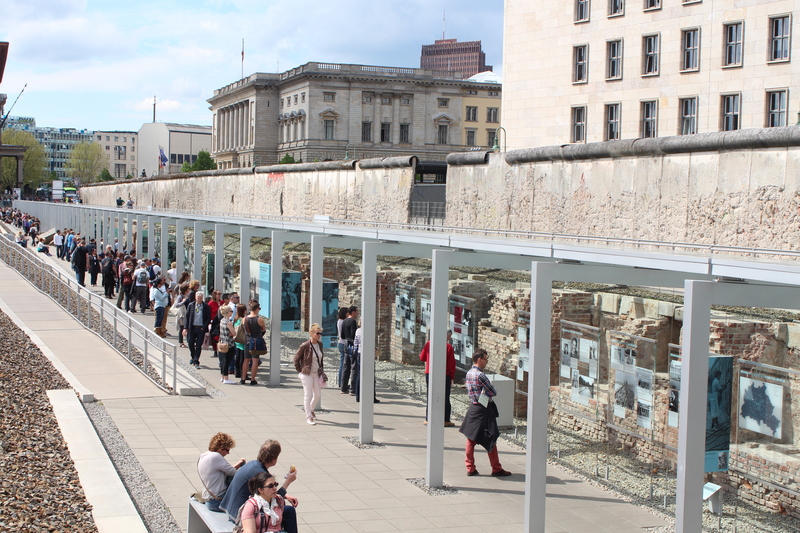 The museum sets the scene for the Berlin Wall – it summarises the war and then details what happened after, mainly focusing on the divide, and looks at the escape methods used. 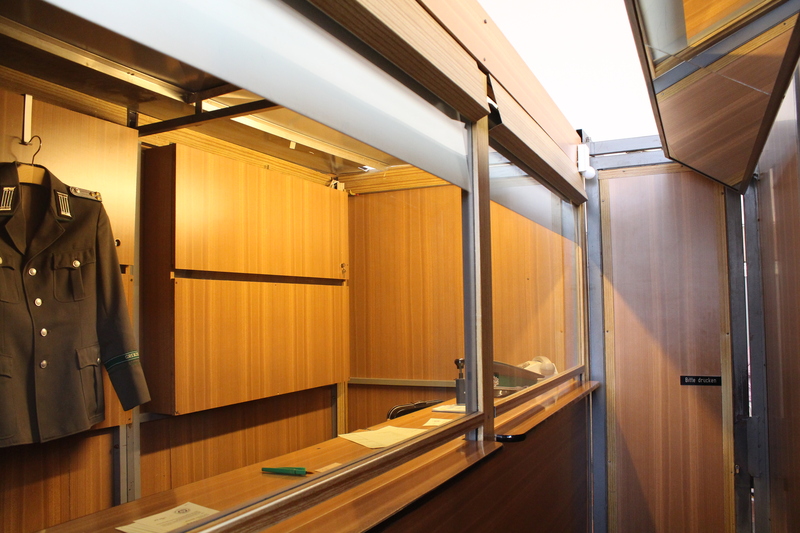 The museum contains lots of information (too much in all honesty) but allow about 1.5 – 2 hours. Cost – 9.30 Euros per person (this is with a discount for having the Welcome Card). There are exhibitions inside and outside. We loved the outside exhibition which mainly looks at the rise of Nazism and what happened when the party came into power. The inside exhibition repeats this a little but has interesting boards on the Nuremburg Trials and other historical happenings such as the death marches. Again, a little too much information inside; allow about 2 hours and if running short of time and the weather is good, just see the outside. One of the least busy and best views in the city! 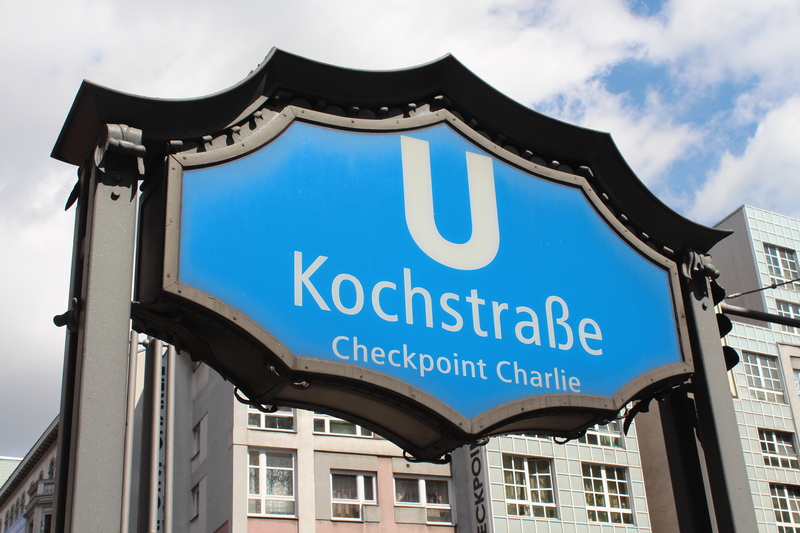 Located on Potsdamer platz (red brick building). Cost – 7 Euros per person – the Welcome Card allows for a discount if you get the ticket to the top and guide – it’s normally 6.5 Euros just for the ticket to the top. 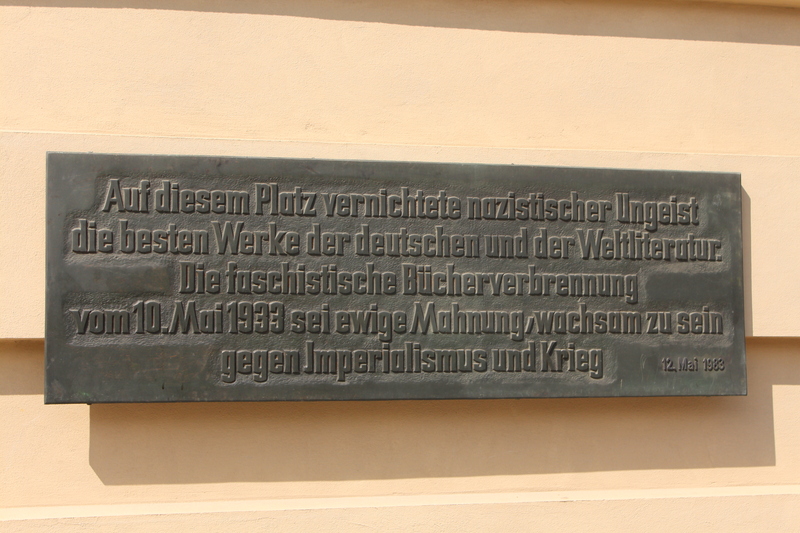 Not far from Brandenburg Gate and now just a little information board on the site which is now a car park (at the top of the street “In den Ministergärten”). 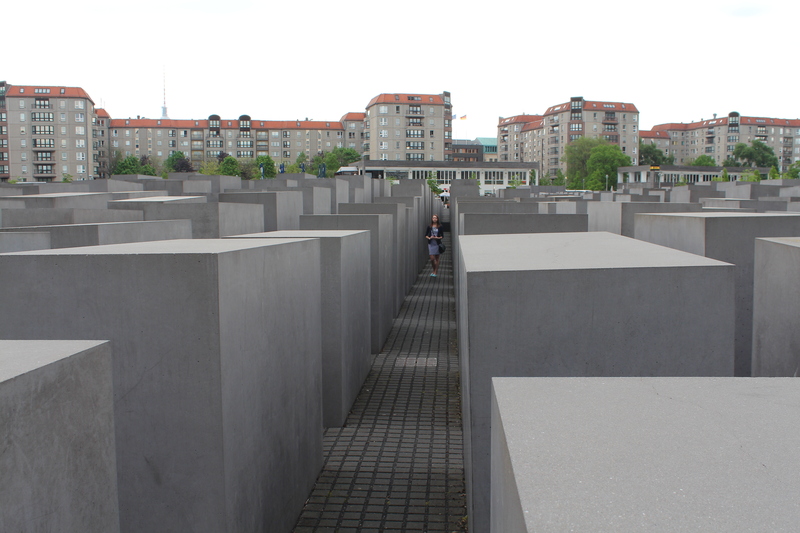 This is adjacent to the Brandenburg Gate and it well worth a visit. You will either love it or hate it. We loved it but we like our modern art and we can see the symbolic nature of its position and formality. 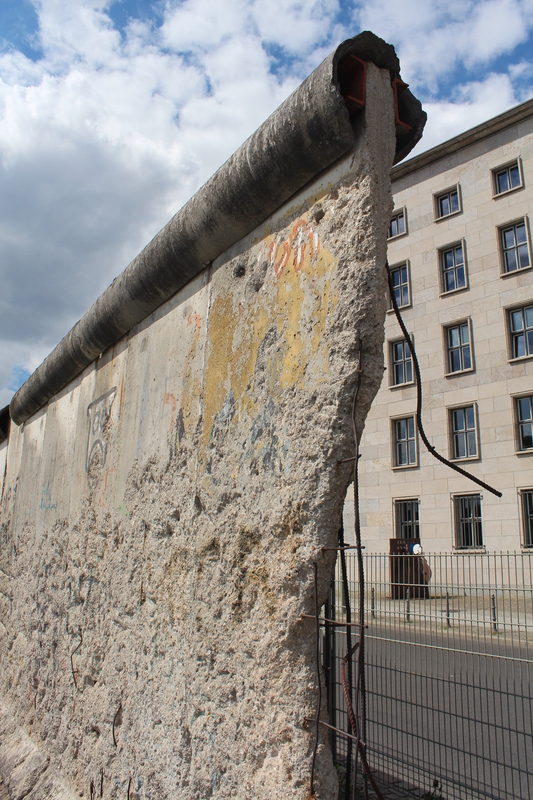 Symbolic of German Unity since the wall came down in 1989. Stop here for a quick picture and to learn more about the history of this grand gateway. 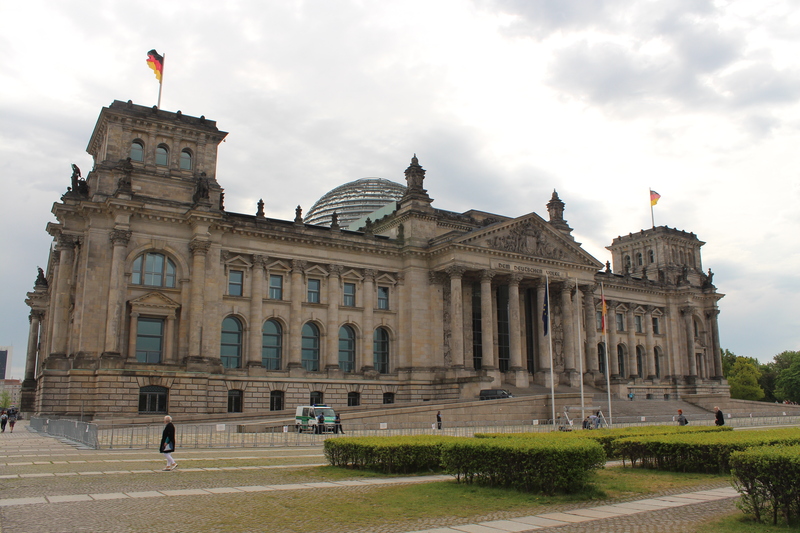 The home of Germany’s Parliament. You can stop for a quick picture or if you pre-book, you can visit the roof terrace and glass dome. One of the best museums in Berlin. It tells the story of the divide between East and West with real life accounts in the station which allowed limited passage between the two sides. Fassbender & Rausch (if only for the chocolate sculptures and displays – luxury chocolate at great prices) AND Ritter Sport (you can create your own chocolate and it’s quite cheap to buy and tastes very good) – both not far away from Unter den Linden which is where you can find the Brandenburg Gate. 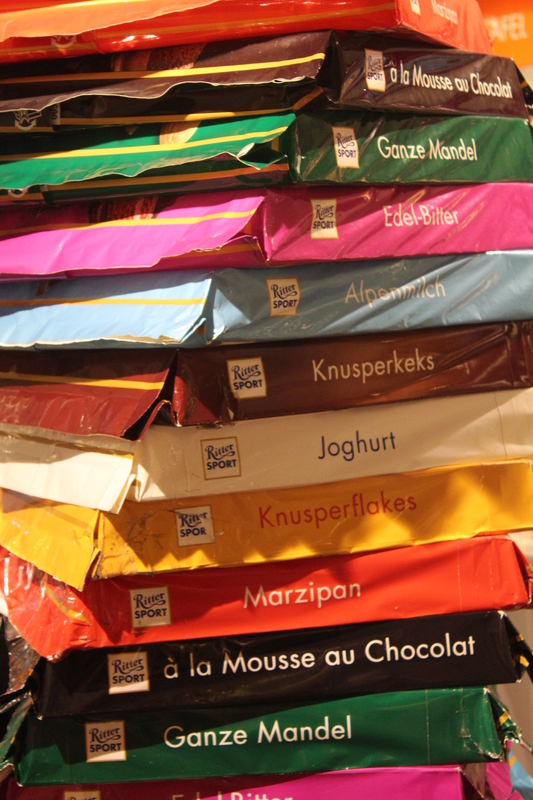 Cost – it depends on how much you like your chocolate! A pretty square with lovely buildings and cafes for drinks just off Unter den Linden and by Fassbender & Rausch. Book burning square just off Under den Linden. 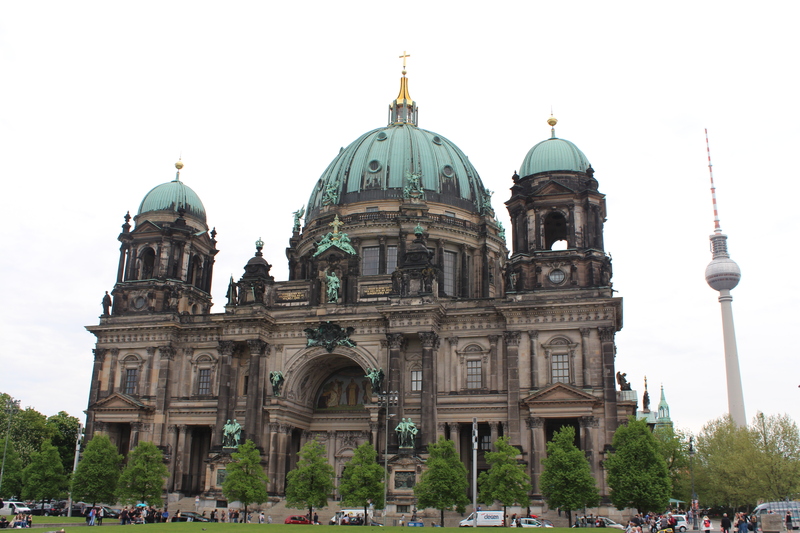 There is a plaque to see and it’s on the way to the Berliner Dom and so worth a stop. The great cathedral with stunning views inside and you can ascend to the walkway at the top (which eventually takes you outside) for some wonderful views. 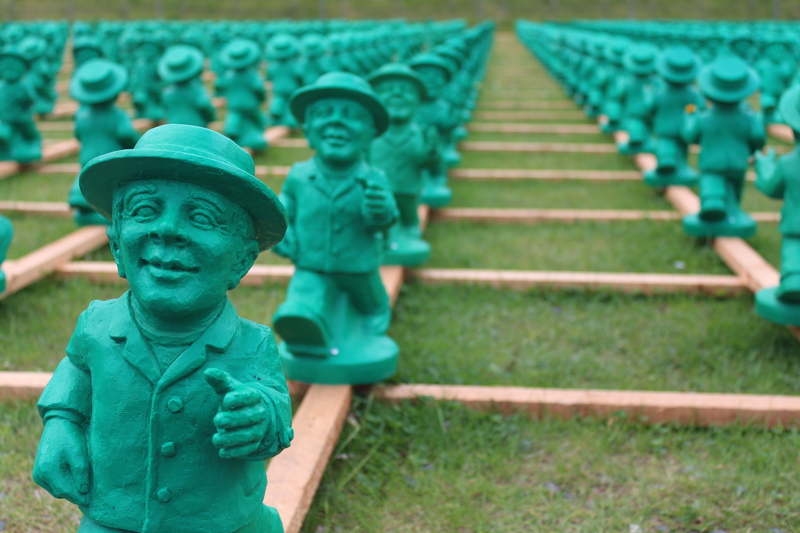 Cost – 5 Euros per person with the Welcome Card. This is a huge site and we only managed sections A and B which easily took an hour and a half to do. You can see what the death zone would have looked like, the chapel of reconciliation, more information on the war and the divide and a memorial of those who lost their lives as a result of the wall. We got transport from Berliner Dom to here. 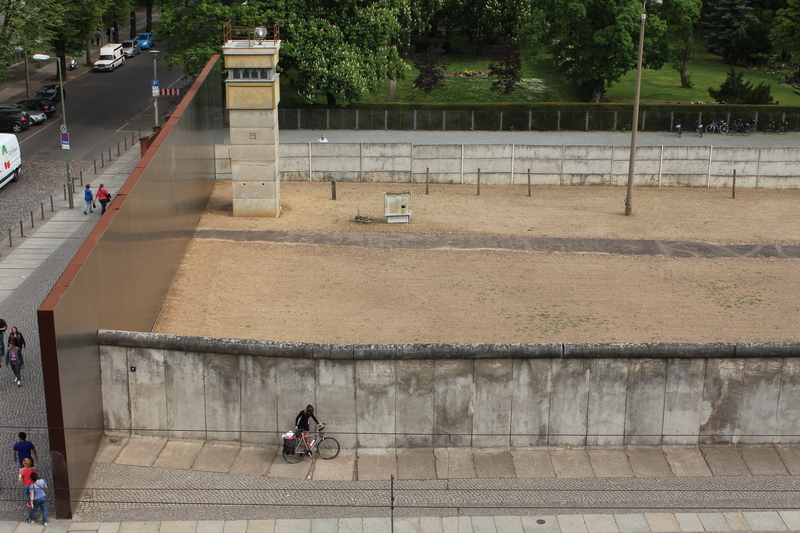 A symbol of freedom and the largest remaining section of standing wall covered in art work on the East Side (never permitted until after 1989). It’s lovely to just walk along and enjoy the messages behind the art. We got the U-Bahn from Berlin Wall Memorial to here. A bombed church which sits between 2 new sections, much like Coventry Cathedral, and it has a memorial from Coventry there too uniting the two cities. 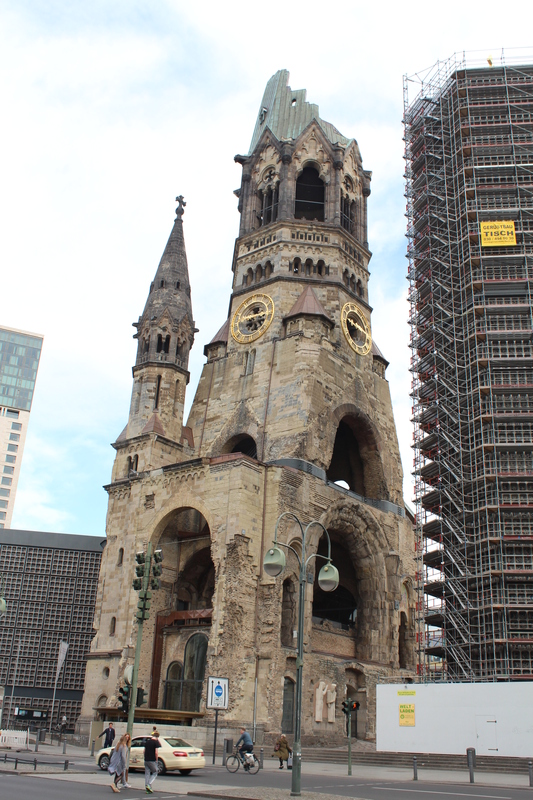 From Kaiser Wilhem Memorial Church, it’s a 20-25 minute walk, partly through Tiergarten park. The Victory Column is in the middle of a busy road but you can access it by a subway. A bit like Selfridges but with a better food court! Cost – free to browse! 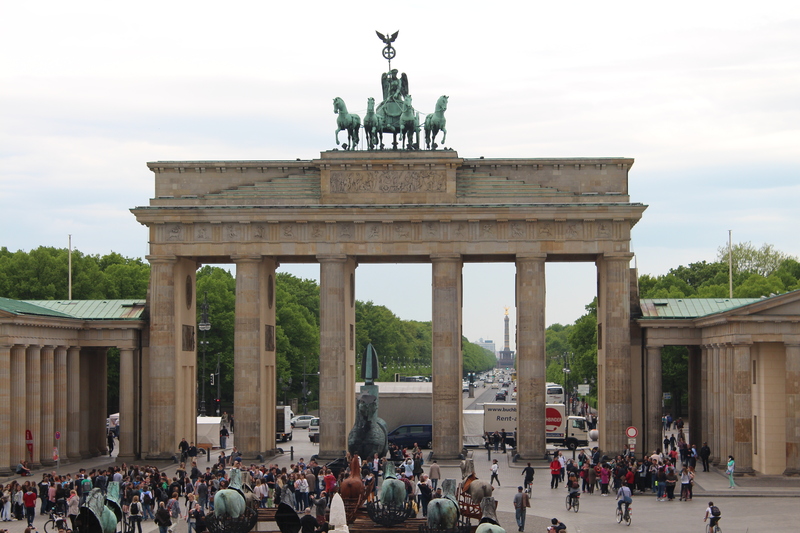 If you want the tick list…….add the Brandenburg Gate and Reichstag of course!